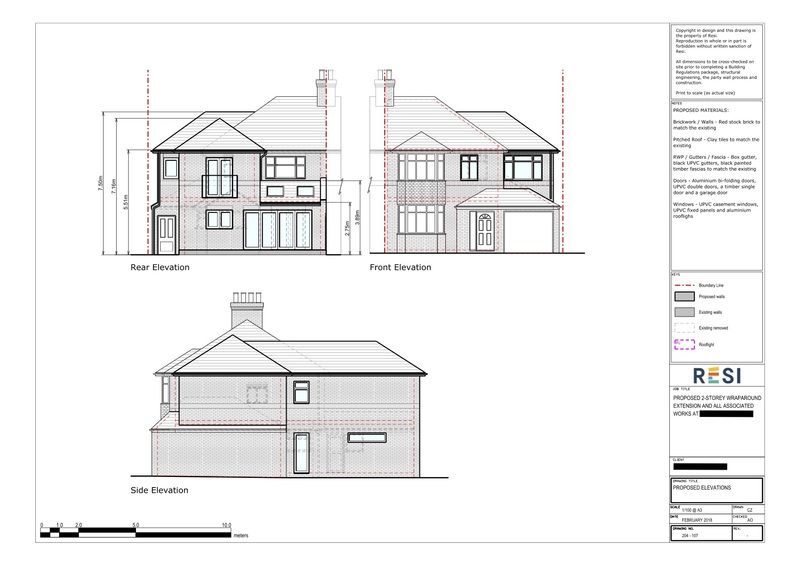 This two storey wraparound extension is one of our more extensive projects, as our client wanting to expand their three bedroom into a four bedroom, with a large open plan kitchen and living space, and the addition of a utility room and study. This design was a great way of transforming an average sized property into a spacious home that the whole family can enjoy. 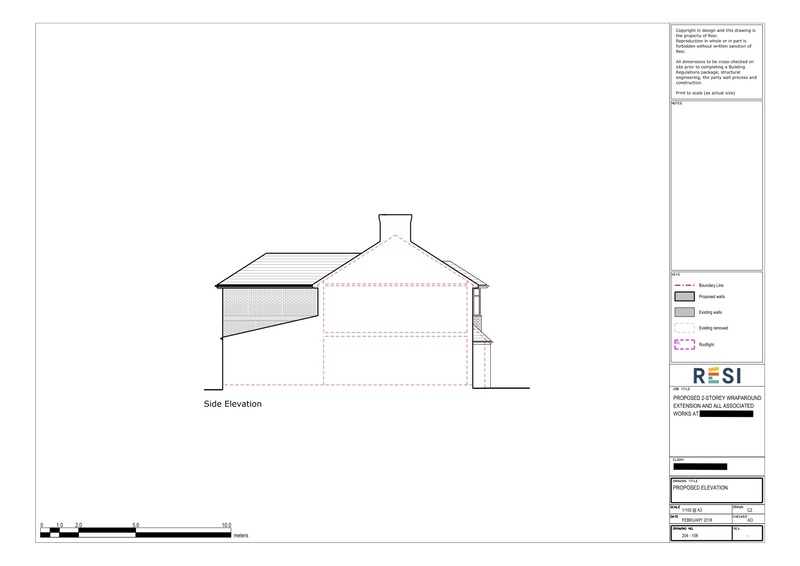 Due to their growing family, our client requested that this extension must include four to five bedrooms, with a large ensuite added to the master bedroom, and the master bedroom needed a Juliet balcony overlooking the fields behind the house. In order to create a family friendly atmosphere, they requested an open plan kitchen, dining, and family room at the rear of the property. These specifications were to be designed in line with their desire for a modern, light style, but in keeping with the style of the 1930s property. We decided the best solution was to build a two-story wraparound extension in order to accommodate the extra bedrooms, enlarging the kitchen area, and the addition of ground floor rooms. For the first floor we were able to add on a dining area to the kitchen, which opened up the space and turned it into a great living area perfect for family bonding. Two skylights were added to the dining section to ensure bright and pleasant dinner times. 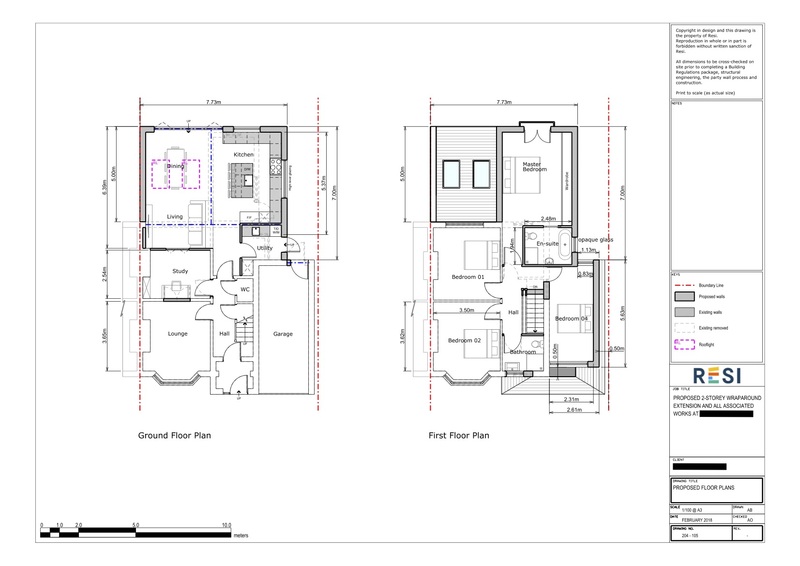 For the first floor we added a large master bedroom onto the rear of the property, moving the family bathroom to the front and making the former family bathroom a large ensuite.